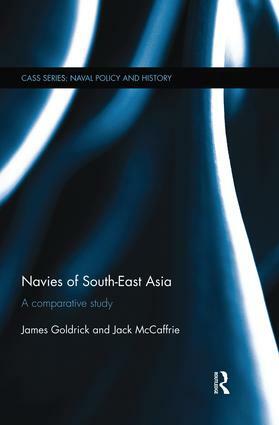 This book provides a comprehensive survey of the development and operations of the navies of South-East Asia since the end of World War II. The navies of South-East Asia have rarely been the subject of systematic attention but, as the maritime strategic balance within Asia becomes more complex and open to challenge through the rise of China, they will play increasingly significant roles. While most have had only limited strength in the past, the majority are acquiring new capabilities, notably submarines, which will profoundly alter their ability to influence events. This volume outlines the difficulties that each navy has faced in developing capability in competition, not only with local armies and air forces, but with other national requirements. The authors analyse the way in which each has been shaped by history and by changing maritime strategic concepts, particularly through developments such as the 1982 Law of the Sea Convention. Drawing upon this contextual information, the book goes on to examine how the navies are likely to develop in the future, what new challenges they will face and the nature of the roles they will play within a region of increasing global strategic significance. This book will be of much interest to students of naval policy, SE Asian politics, regional security, strategic studies and IR in general. James Goldrick retired from the Australian Navy in 2012 as a two-star Rear-Admiral. His previous books include studies of the opening months of the First World War at sea (The King’s Ships Were at Sea, USNI, 1984) and of the development of South Asian navies (No Easy Answers, Lancer, 1997). Jack McCaffrie retired from the RAN as a Commodore (one-star) in 2003. He currently works with the RAN Sea Power Centre where he is writing the second edition of the RAN’s Australian Maritime Operations doctrine publication. He also works with the Centre for Ocean Resources and Security at Wollongong University.